Use the latest digital technologies for lifelong customers and repeat sales"Arthur Middleton Hughes is database marketing's Great Explainer. He has a unique gift for taking complex subjects and breaking them down in ways people can easily understand. This is the most approachable book I have ever read on the subject. "-Ken Magill, Publisher, The Magill Report"Strategic Database Marketing is a must-read for anyone in CRM or e-mail marketing. 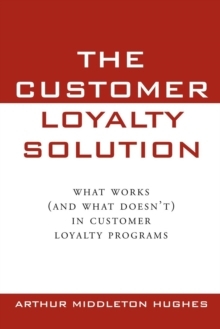 The Customer Lifetime Value information and formula is critical to utilize. Arthur's information makes it easy to update with your e-mail metrics and improve KPIs to know the success of each marketing program. "-David Horwedel, eCRM Program Manager, Dell"Arthur Hughes is truly a direct marketing database guru. This edition of Strategic Database Marketing [is a] must-read for any marketer in today's ever-changing environment. "-Vicki Updike, President, Miles Kimball Company"Strategic Database Marketing objectively challenges the very way we go about using our data and where we should be going in the future.  It is an important, informative, and enjoyable read. "-Matt Edgar, Founder, Global Marketing Alliance and publisher of Direct Marketing International"Strategic Database Marketing provides the fundamentals of consumer data management that every marketer should know. Arthur's insight into utilizing e-mail and social media both as a data source and communication medium is key to creating the highly relevant and targeted messaging that today's consumers demand. "-Angela Sanchez, Sr.
Director of Marketing, Universal Music Group"Arthur Hughes describes how smart marketers amass the mounds of valuable customer data accumulated by their company, find common characteristics among those individuals, and then suggest a product or service that customers will be eager to purchase even before they know they want to buy it. "-Kathryn Kiritsis, Director Online Marketing, Avis Budget Group"Read this book if you are looking to make sense of the complexities of database marketing in the digital world. Mr. Hughes has produced a tour de force. "-Steve Cobden, CMO, Thompson & Company of Tampa, Inc. "I have learned so much from Arthur Hughes over the years! This book is no exception. He continues not only to address theory, but also offer practical, measurable application. "-Sue Coakley, Sr.
Director, Customer Contact Strategy, Yahoo!About the Book:Since the previous edition of Strategic Database Marketing was published in 2006, digital tools like Google, e-mail, mobile devices, and social networking sites have completely changed the game. Customer outreach knows no boundaries, program management is more complex, and smart use of databases is absolutely critical to success. With these new challenges, though, come great opportunities-and this thoroughly updated new edition has everything you need to seize them all. Retaining all the tips, tactics, and strategies that have made Strategic Database Marketing the go-to resource for marketers who take their craft seriously, this classic guide gives you the most current tools and techniques for gathering and measuring metrics and making accurate predictions with them. 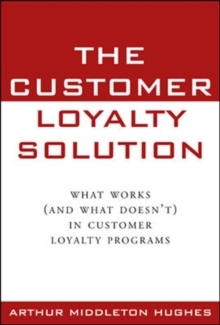 Completely revised and updated, this new edition covers all the foundational database marketing principles and practices, including:Lifetime value (LTV)Building profits with recency and frequencyThe off-e-mail sales multiplierCustomer and subscriber acquisitionMonetary (RFM) analysisExpanding retail store trafficCustomer segmentationAnalytics and modelingLoyalty marketingMeasuring the impact of social mediaTesting and control groupsBusiness-to-business database marketingAll quizzes, forms, strategies, charts, and graphs are available online for instant reference and downloads. The book also enables you to calculate the lifetime value of your subscribers and customers and sample online databases to quantify your efforts. The personal customer information stored in your company's database files provides you with a unique and valuable competitive advantage. But are you using that information productively? 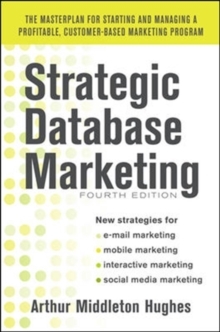 Is your data difficult if not impossible for frontline employees to access when needed?Strategic Database Marketing, Fourth Edition, is a one-stop resource for making the best possible use of database marketing to meet your strategic goals while keeping up with the changing nature of the market.